The Amazon Alexa Marketplace has lots of third party SmartHome skills to start with. But why not build your own SmartHome, right? First thing is, you have to create some openHAB items with proper tagname, label and type. Here I have added 4 devices in [Lighting] tag as Switch item. This tagname is very important because Amazon Alexa API uses this tagname to export device list into Alexa’s SmartHome Discovery menu. I have used exec1 binding as output trigger of the items. The binding configuration is given as /home/ubuntu/mysmarthome.py %3$s %2$s which means it will call /home/ubuntu/mysmarthome.py with %3$s = Item's Programetic Name (not Label) and %2$s = Item's State. Here is the complete item file. 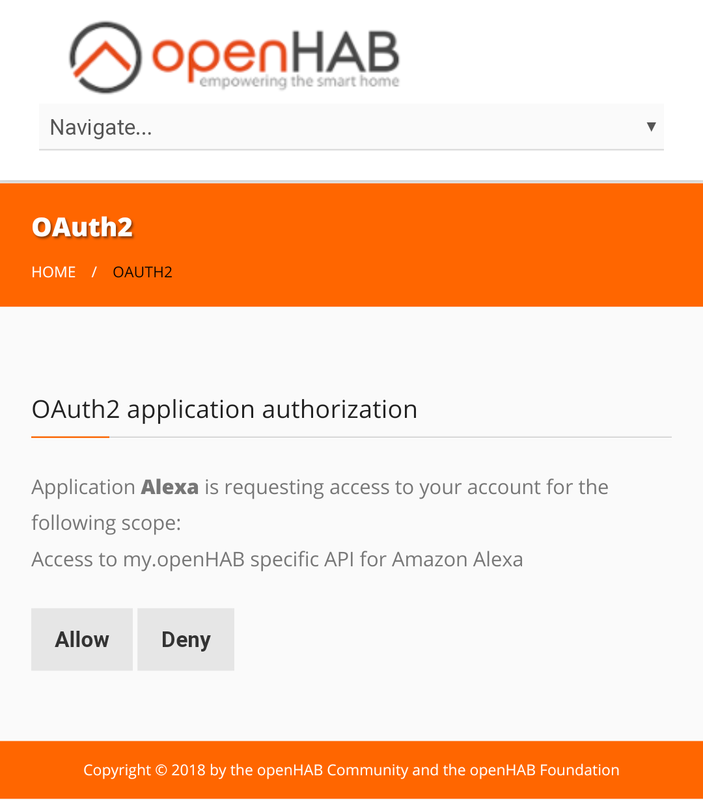 After you are done with item file, install openhabcloud binding, and then configure cloud service at http://myopenhab.org using your openHAB’s UUID and secret. Once you are connected to myopenhab you can see the previously added 4 items there. Now it’s time to configure Alexa SmartHome Service. 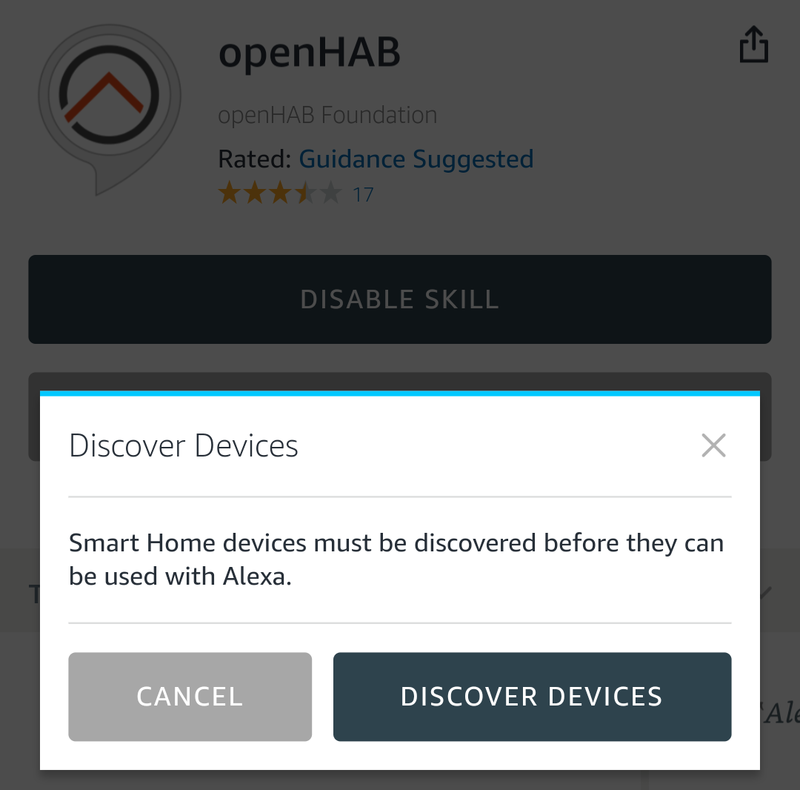 Assuming that your Alexa is ready to use, browse Skill Marketplace and search for openHAB. Click Enable Skill there. 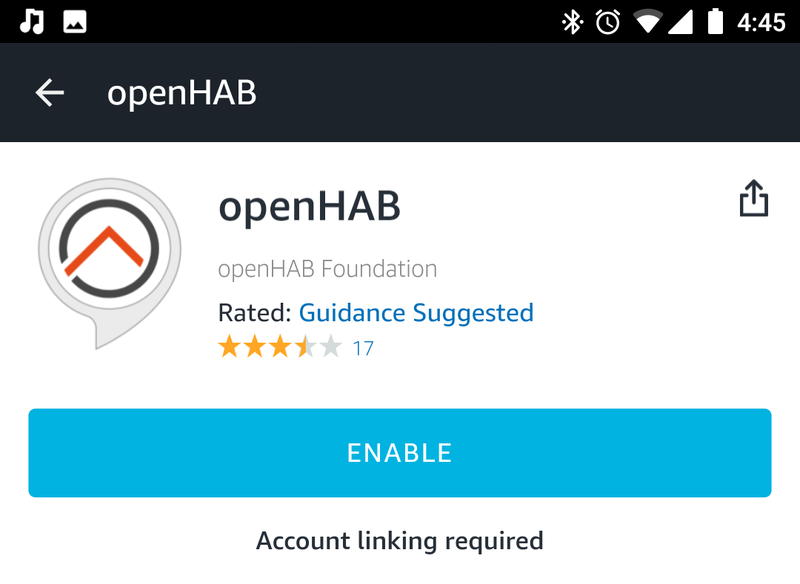 After enabling the skill, it will redirect you to myopenhab.org and prompt OAuth login. Select the Allow button. If the credentials are correct, the Skill will be enabled and you will be prompted to Discover Devices page. Proceed by clicking the button. If the item file is properly configured, all devices with Lighting tag will appear in the Devices menu. From now on, you can send commands to the items using Alexa’s Voice API. 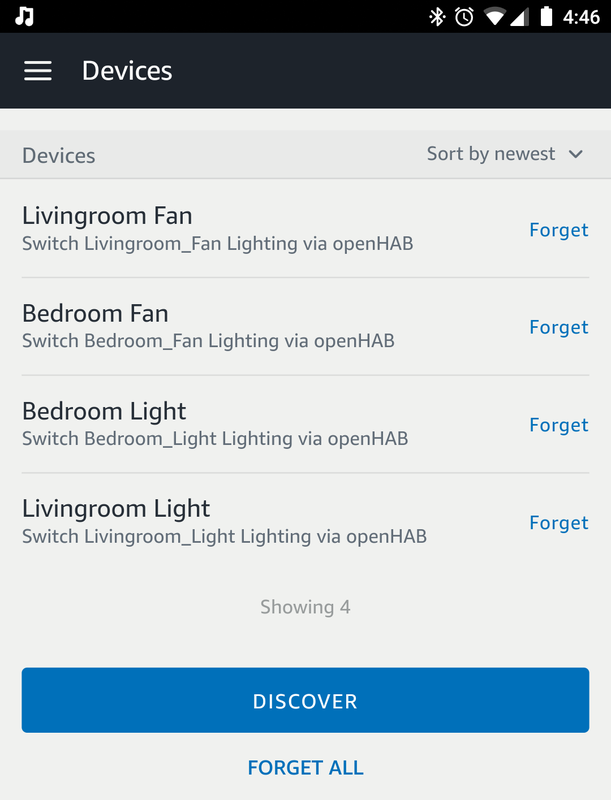 For example, saying alexa, set bedroom light on will trigger openHAB’s REST API and eventually execute /home/ubuntu/mysmarthome.py Bedroom_Light ON at your local setup. Here is a simple log of openHAB runtime.